However, at the same time, not every metric can be solely customer-centric as there are operational costs and other business needs that must be factored in. The key is getting the balance right to satisfy the business stakeholders, your employees and the customer. That shouldn’t be too hard right? 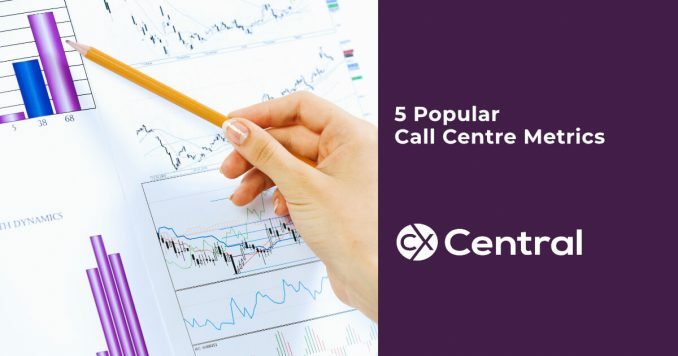 With that in mind, here are five critical metrics for call centre success today. Perhaps no KPI has a bigger influence on the customer experience than what is known as first-call resolution (FCR). FCR calculates the percentage of incoming customer calls that are completely resolved on the first attempt. The challenge is accurately tracking whether a particular customer has actually received a resolution they are satisfied with, and will not need to call back. Nevertheless, FCR is a key metric to measure and understand since a high FCR greatly improves customer satisfaction. In fact, customer contact research shows that for every 1% improvement in FCR, you get a 1% improvement in customer satisfaction. In addition, reducing the costs of callbacks, especially in high-volume contact centres, can do wonders for your bottom line. Call quality is a crucial customer-centric performance metric that can be utilised in all contact centres and helps to measure how successful an agent is in dealing with the customers. It is typically evaluated through the recording and monitoring of agent interactions with customers and utilises a scoring system based on a list of criteria that a call centre feels indicates a quality experience from the customer’s perspective. This may include, for example, FCR, courtesy and professionalism, providing the right information, capturing the right customer data, etc. Usually the criteria are added up to a total percentage score, however, each criterion can be analysed separately in order to improve call quality in specific areas of need. It generally indicates how accessible the centre is to customers, and thus is the clearest indication of what customers experience as they attempt to reach your contact centre. While the faster an agent answers a customer call, the higher the service levels. Businesses also need to take into account that answering calls too quickly can actually be unprofitable because of the staffing costs necessary to meet such high service levels. At the same time, if response time is poor, then repeat contacts, escalations and complaints will eventually drive service level down even further so finding the happy medium is the key. One common solution for finding the right service level is a metric known as forecasting accuracy. Since staffing operational costs generally account for 70 to 80% of call centre budgets, using accurate algorithms is crucial for making sure you are properly estimating anticipated call volume and thereby determining the right number of agents required to meet those service levels. In fact, one of the greatest threats to a call centres profit margin are labour costs which come from mistaken forecasting. While overestimating demand can lead to overstaffing and wasted resources, underestimating can be just as problematic as it leads to understaffing, which then leads to long wait times in queues. While there is no standard method for calculating CSAT, there are certain common practices that allow call centres to not only effectively monitor customer satisfaction, but also to make improvements before customers go elsewhere. Jacada Visual IVR is a support based mobile engagement solution that guides inbound callers to a web-based support experience personalising the support journey for customers already on their way to the queue. The solution makes it easy for organisations to collect the metrics listed above, among others. Emphasising these metrics in a balanced manner will ensure that your company keeps customer satisfaction high while enabling your call centre to be an efficient and profitable service centre. Find suppliers – Search our Business Directory to find everything from consultants to technology or use our free CX Connect Service and we can provide you with a shortlist of recommended suppliers that can meet your requirements.